Kurt Alloway is a newspaper's best friend. He's subscribed to The Salt Lake Tribune for 20 years and gets the Tooele Transcript and the Millard County Chronicle delivered to his home in Tooele. "I love the farm news," he says. Not so much what's wrapped inside—the Deseret News National Edition. "I get two local, rural subscriptions once a week, and every single one comes with the Deseret News. It's their national news or some crap I don't want. My wife and I are disgusted with the waste of paper," says Alloway, who just recycles, recycles, recycles. Meanwhile, for several months of Sundays, Tim Wagner, who lives in Salt Lake City, has had nothing on his doorstep—no matter how many times he's called MediaOne, which oversees printing and advertising for the two Salt Lake dailies, to find out what has happened to the Sunday edition of The Salt Lake Tribune that he's taken for years. "I can't say if it's associated with MediaOne or just a bad carrier problem," says Wagner, who supplements his Sunday edition with the e-edition on weekdays. Wagner is not alone in the quest for reason in the battle of the newspaper giants. A group called the Utah Newspaper Project is suing Digital First Media and The Church of Jesus Christ of Latter-day Saints, which own the Tribune and the D-News, respectively. The group has been vocal in its belief that the recent renegotiation in the daily papers' joint-operating agreement, which gives the D-News 70 percent of the papers' combined profits, is a conspiracy designed to financially crush the Tribune. But numbers show that the newspaper industry is making more than enough money—and that Salt Lake City's dailies are spinning their circulation numbers to do so. Much has been made of newspapers' declining revenues in the wake of the digital revolution. But Roger Plothow, who has managed papers in Utah and California and is now editor and publisher of the Idaho Falls Post Register, argues that just because newspapers' profits have fallen doesn't mean they're in dire straits. "The profits we're comparing ourselves to are obscene. It's beyond the pale," says Plothow, who says he's worked for newspapers that generated 55 percent profit. "No one gets to do that now," he says. "It shouldn't have existed in the first place. A newspaper can exist on 10 to 14 percent margins. Those are good margins, and sustainable." Print-advertising revenue continues to decline, but the hemorrhaging has mostly ceased. According to the Newspaper Association of America, revenues in 2013 were $37.59 billion. About two-thirds of that revenue comes from advertising, and advertisers' rates are determined by circulation—which brings us to the numbers game and the murky depths of the Alliance for Audited Media (AAM). This nonprofit organization is the place where circulation figures are parsed and advertisers are gained or lost. But with the advent of digital editions, circulation is anything but clear, and newspapers increasingly appear to be pumping up circulation numbers, hoping to entice advertisers to pay more for their product. 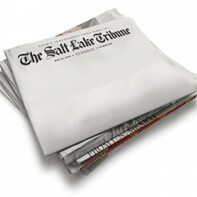 According to massive amounts of research by Jay Schiller, a former newspaper circulation executive, Salt Lake City's two dailies give away more free digital as a percentage of total distribution than any papers in the nation, making the overall figures they provide to advertisers meaningless. 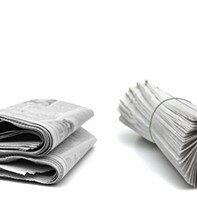 Both Salt Lake newspapers hold up their circulation numbers to entice advertisers and pump up the value and cost of ads. But MediaOne's boasts of 300,000 and 400,000 readers "mean nothing," says Schiller, who adds that when you look at the uninflated numbers, each paper reaches less than 10 percent of Utah households. City Weekly was referred to a "group" of people at MediaOne for questions about circulation, but phone calls were not returned. It's unknown how much local advertisers are overpaying to get their messages in front of just a fraction of the 300,000 or 400,000 readers that MediaOne promises. But inflated circulation numbers have generated lawsuits around the country. "It's becoming more important than ever to understand the audience you have and the impact you have on it," says Jennifer J. Johnson, a technologist and marketing executive working for an Internet consultancy company. "You want to know how your dollars are being spent." Muddy numbers are nothing new, Johnson says. "There's always tension between publishers, agencies and consumers." Systems have to show how they translate into impact. According to the AAM report on the publishers' statements for the six months that ended March 31, 2014, the D-News and the Tribune have a total combined circulation of 402,836 on Sundays and 316,233 total for the other six days of the week. But, Schiller says, 68 percent of that weekday distribution is digital, and if you don't count the D-News' National Edition, 67 percent of the Sunday circulation is digital, too. "There was a time where free copies were not included on the front page of the (AAM) reports," Schiller says. "Today, newspapers combine paid and free, print and digital and brands into one grand total that does not mean anything." The AAM said they do not track this information, referring City Weekly back to the publishers. The D-News' Clark Gilbert would not comment, and Tribune publisher and editor Terry Orme says that MediaOne charges for all e-editions. New rules from the auditing corporation seem to have helped the circulation charade. AAM has changed its rules since the advent of digital, and now allows circulation numbers to include some duplication of print and digital. It also used to be that someone looking at a digital edition on a smartphone or tablet had to do so every day of the month to be counted. Now, they need only look once during the month, Schiller says. "When you start peeling the circulation onion, it gets smaller and smaller," Schiller says. "While the combined daily circulation of the two newspapers is 316,233, when you back out digital, it drops to 102,194. When you focus on home delivery, it drops to 89,827." Even before the possibilities afforded by digital duplication, newspapers have been creative with how they present their circulation to advertisers and readers. Looking just at the home-delivery numbers of the Tribune and D-News, Schiller says, "there is no disclosure in the report of how many people get home delivery of both newspapers." Given MediaOne's steep discount on subscriptions to both papers, it's safe to say that many do. An annual seven-day-a-week subscription for either paper is $211.64, but you can get both papers six days a week—minus Mondays—for just $91 a year. It's likely that quite a few of the 89,827 home-delivery households in MediaOne's reported circulation are in fact the same households, getting both papers under what amounts to a buy-half, get-1-1/2-free deal. "I have scoured the circulation documents, and I can't tell you how many people take both papers," Orme says. "I assume it is a very low number, but that's as far as I can go." Many papers count newspapers sent to schools as paid subscriptions, and one famous class-action suit, which has since been dismissed, started with a Hilton Hotel guest who took issue with being charged 75 cents for a newspaper he thought was free. The cost of papers delivered to hotel rooms was automatically included in guests' bills, and though the hotel gave refunds when guests asked, few did, leading newspapers to count those copies as paid subscriptions. In 2004, Slate magazine ran a story titled "Ghost Readers, Is Everybody in the Newspaper Business Inflating Circulation?" The Tribune Co.'s Newsday and Hoy, Hollinger International's Chicago Sun-Times and Belo Corp.'s Dallas Morning News all admitted they were. In 2006, the courts reached a multimillion-dollar settlement in a class-action lawsuit brought by advertisers with the Chicago Sun-Times and related papers. Hollinger International agreed to pay about $7.7 million in cash and up to $7.3 million in free advertising or discounts to the plaintiff class. Jo-Ann Fabric & Craft Stores recently sued the Tampa Tribune for inflating circulation, saying that figures had been exaggerated by "tens of thousands of customers per week." A judge dismissed the lawsuit earlier this year, but the company's lawyers may refile. Meanwhile, the Deseret News' National Edition is included inside other papers, and available free of charge in boxes around Utah. Schiller says those numbers aren't broken out in the publisher's statement and simply "'fatten' up the overall numbers." The AAM board "is considering changes to address duplication between editions—such as the main newspaper and their branded editions, which will, it is anticipated, be then referred to as 'affiliated publications,'" says AAM spokeswoman Rachael Battista. Schiller notes that the National Edition has no real value to advertisers, and digital editions of either paper have yet to show they are making money. If digital is the future of newspapers, it's not making a lot of headway. According to the NAA, revenue from digital channels—advertising, circulation, digital marketing services and other—rose 5.8 percent in 2013 and accounted for only 12 percent of total industry revenue. "The goal of Digital First [the Tribune's owner] is to eventually make a full transition from print to digital even though it has yet to figure out how to get people to pay for digital," Schiller says. Michael Kearns of the former Tribune dynasty doesn't like that at all. "It's like watching the Hindenberg," he says. It was in 1901 when Sen. Thomas Kearns and David Keith bought the Tribune. Kearns ultimately bought out the Keiths and, in 1997, the paper merged with Tele-Communications Inc., which was later acquired by AT&T Corp. The agreement with TCI made a number of Tribune employees millionaires. The TCI deal included a clause to allow the Kearns' heirs, the McCarthey family, to buy back the paper in five years. They couldn't and filed suit, settling after a costly court fight in 2007. In 2000, the Tribune was sold to MediaNews Group for $200 million. But MediaNews got in trouble, like the newspaper industry in general, and filed for bankruptcy. When it emerged from bankruptcy in 2010, it lost ownership to Alden Global Capital, a hedge fund that buys up distressed properties and owns hundreds of media outlets. Kearns blames Dominic Welch, former Tribune publisher and president of the Newspaper Agency Corp., for passing up the chance to buy back the paper. Kearns says he thinks the offer was for $180 million. Welch, however, says MediaNews appraised the Tribune at $450 million, but offered it to him for a mere $350 million. "It wasn't worth it," he says. "Once the Tribune merged with TCI, the intent of all people was, 'If you sell it once, you can sell it twice.'" When Welch was CEO in the early '80s, he says, the paper was making about $9 million a year. By 1996, the Newspaper Agency Corp. (which printed, delivered and advertised for both papers) was taking in up to $60 million. At its height, profit for the Tribune was $20 million, Welch says. "I still think they're making money, but there's nothing for the coverage we had back then," Welch says. That's because of all the layoffs—both at the Tribune and the D-News. The American Society of News Editors annual newsroom census, released in July, found a net loss of another 1,300 full-time professionals in 2013. Newsroom employment has fallen 33 percent from a pre-recession peak of 55,000 in 2006, and is down 35 percent from its all-time high of 56,900 in 1989, ASNE reports. "There are still a lot of good journalists at the Tribune," Plothow says. "But I don't think you have the same passion for journalism that you saw 20 years ago. The Deseret News is very clear—their audience is the national Mormon market focusing on family and values." Without saying it's us-against-them, former reporter and editor Joan O'Brien, founder of the Utah Newspaper Project, calls Salt Lake a "unique marketplace because of the dominance of the LDS Church and the dominant political power." What was and is important in Utah is the distinction between the two voices. "The Salt Lake Tribune began as the result of a movement to oppose the political and economic policies of the Mormon Church," wrote author Sherilyn Cox Bennion. In 1970, Congress penned the Newspaper Preservation Act, validating the JOAs that had existed since 1933. The newspaper industry argued successfully that the First Amendment was important enough to create safeguards allowing two newspapers to survive in metropolitan markets. "You take away the fact that JOAs allowed for these combinations to essentially subvert antitrust laws, and two-newspaper towns would have gone away years ago," Plothow says. The Salt Lake JOA is an outlier. From a peak of 28, JOAs now number only about eight. "Salt Lake was always a unique case because of the ownership of the Deseret News by the Mormon Church," Plothow says. "Its concerns for profits were never paramount." Even with the 42-58 split of profits under the previous JOA, the D-News managed to lay out cash for presses and buildings, while the Tribune had to borrow its share, according to newspaper and wire reports. The D-News, in fact, came up with a big chunk of change to buy the print facilities and retire the Tribune's debt as part of the new October 2013 JOA, which puts the split at 70-30 in favor of the D-News. When the Tribune bought its presses new, they cost about $30 million, Kearns says. He thinks the paper likely sold them to the D-News for half that. O'Brien, who has strong family ties to the Tribune, maintains that the new 70-30 split will plunge the Tribune into a downward spiral from which it can't recover. Thirty percent of X profit is simply not enough, she says, though she says she doesn't know what X represents because the paper's ownership "provide not one bit of information about the deal that went down." The growing din from the public involves the LDS Church fronting the money to make all this happen. Bob Bernick of Utah Policy calls it an unfounded conspiracy theory, and maintains that the church doesn't subsidize the D-News. Why? Because, he says, the D-News paid cash for its share of the printing facilities just as it paid cash—maybe $16 million—for its nine-story downtown office building in the mid-1990s. Bernick says he doesn't comment on his own stories, but there is no mention of how the D-News came up with all this cash while still in the 40 percent profit mode. There are those who believe the Deseret News and its president, Clark Gilbert, have a plan to kill the Tribune. While Gilbert refused comment for this story, he said he stands by earlier comments that there's no plan to destroy the competition. "Nobody with a straight face can say they're trying to protect the Tribune," says Utah Sen. Jim Dabakis, D-Salt Lake City, who started an online petition to save the Tribune and help fund his political campaign. Dabakis also has business ties with Thomas Kearns McCarthey, as an art broker for McCarthey's Park City gallery. "Maybe it'll be a once- or twice-a-week supplement in the Deseret News. ... At the end of the day, we live in a divided community. The Tribune tells a story within the guidelines of journalism," he says, noting that City Weekly would be in a great position to step up if the paper folds; otherwise, he says, "the void will be filled by blogs and by people without journalistic ethics." The D-News makes no pretense of being a traditional news organization. Among the six objectives in the D-News' mission statement, politics is not listed. And Gilbert has pinned his hopes on the digital version and an economic theory called "disruptive innovation." The term "disruptive innovation" was coined by Clayton Christensen, a professor at Harvard Business School, Salt Lake native and former LDS missionary. The concept, he says, "describes a process by which a product or service takes root initially in simple applications at the bottom of a market and then relentlessly moves up market, eventually displacing established competitors." And that is just what's happening in the Salt Lake market as the D-News places national editions, free of charge, in boxes around the state. That the LDS Church holds sway in Utah is not news, but that it has given someone the chance to buy a newspaper in a fire sale is. It's a good-news bad-news scenario. "On the bad side is the circulation list. It's good today, not tomorrow," Plothow says. "Then there's the long history of the Tribune, but it has no significant assets and relies on the Deseret News to get printed and delivered. That also makes the buy pretty cheap." Many think the Tribune needs a savior like Warren Buffett to come along and buy it. Maybe that's Jon Huntsman Sr., although the new JOA requires the D-News to sign off on any such purchase. The Tribune could be purchased for 5 percent of what it was worth 20 years ago, observers say. But is it worth it? Plothow's Idaho paper no longer prints a Monday edition, although it's updated online. It's not a free and open online presence, either. You have to pay to read. His reporters don't even Tweet about their stories or post them on Facebook. It's a bad model if you want people to look at your paper, he says, but "the flip side is if [readers] come on for free, you're not going to get any money, either." The big issue facing newspapers today is the younger demographic. "Every time we print an obit, we're also printing the loss of one reader, and young readers are not stepping in to fill that void," Plothow says. Newspapers are trying to convince 20-somethings that not everything is free. "So far, it's been a failed experiment," he says. Maybe there's a new generation of reporters who are nimble and understand social media, but no one knows how this will translate into newspaper profits. And no one knows if the Tribune will survive long enough to participate in a rebirth of journalism. A federal judge is set to rule on whether to dismiss the Utah Newspaper Project's lawsuit on Sept. 8.